Big Rig was one of the most successful show bulls in the 2006-2007 show season. 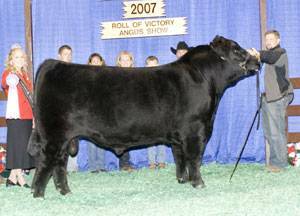 He was Grand Champion at the World Beef Expo, SD State Fair, & Res. Jr. Champion at the NAILE. He has lots of style with excellent growth numbers!